Spring arrived to produce a bright attitude for the Winnipeg Livestock Auction March 20 sheep and goat sale. Producers delivered 220 sheep and goats, and the buyers were prepared for some major bidding. Everyone in the arena was entertained with an orphan baby lamb being bottle fed and comforted in the owner’s lap. There was no evidence of buyers lacking interest in the ewes. Prices still reflected strong bidding from the last sale. Even the fancy or exotic breeds such as Babydoll ewes attracted strong bidding. 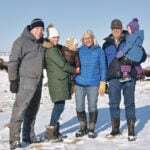 The good quality of the rams was evident from the buyers’ bidding, which indicated these animals were future investments. 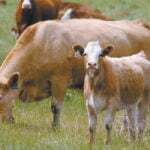 The price ranged from $1.57 to $1.74 per lb. The heavyweight lambs attracted continued high prices, similar to the ewes, indicating they were for immediate use. The fancy breeds were within the same range. Feeder lambs were slightly lower than the market lambs. All feeder lambs were viewed as being similar, even the exotic varieties. Quality was a major factor in the final price bidding, especially for this class. The demand for lambs remained consistent throughout the sale. Slightly lower bidding was noticeable for the hair lambs, compared to the wool lambs. This could reflect the limited feed supply. The 70-plus-pound lamb class showed 12 74-pound Dorper-cross and Katahdin-cross lambs bringing $1.50 per lb. 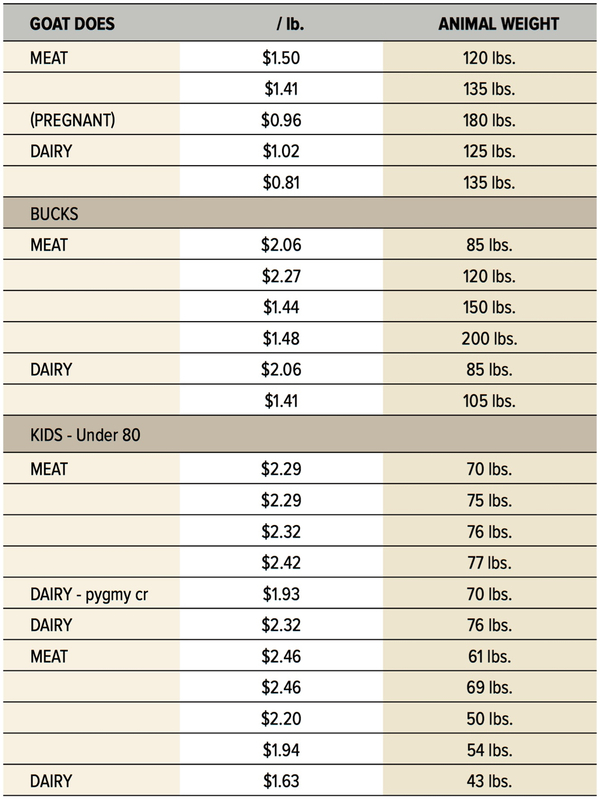 A 75-pound Rideau-cross lamb brought $2.78 per lb. 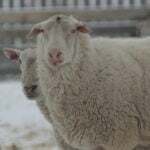 Four 78-pound Suffolk-cross lambs brought $2.66 per lb. The 60-plus-pound lamb class had continued strong bidding, but there were price differences between wool and hair lambs. Six 68-pound Dorper-cross lambs brought $2.50 per lb. 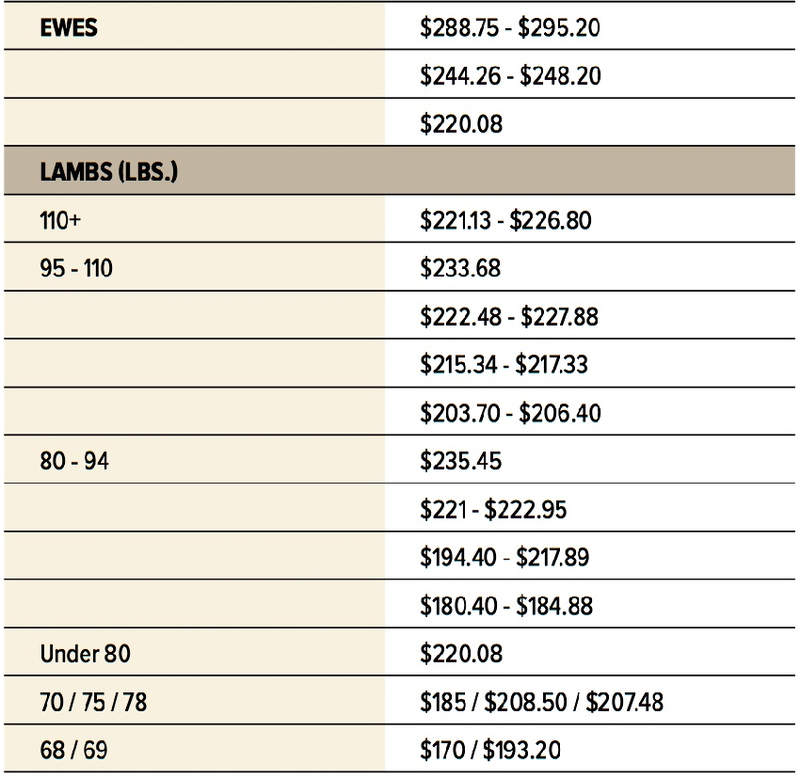 Five 69-pound Suffolk-cross lambs brought $2.80 per lb. Buyers wanted the younger goat does of all purposes, and bidding seemed to continue trends from the last sale. Surprisingly, there was limited interest in a pregnant goat doe due within days. The young goat bucks received good bidding for future investments. The older bucks could not maintain the same level. Alpine-cross goat bucks represented the dairy class. The 200-pound goat-cross buck had visible Kiko characteristics. This sale had an increase in goat kids and the buyers were busy deciding on which to choose. Any indication of a smaller-cross body frame (such as cross with a Pygmy goat) attracted a lower price. 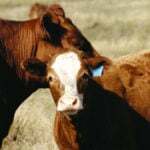 The price levels of 2018 were not reached; 2019 may see lower prices based upon feed costs and normal maintenance.